The word "Three-lationship" has no more been a strange word in Hollywood. 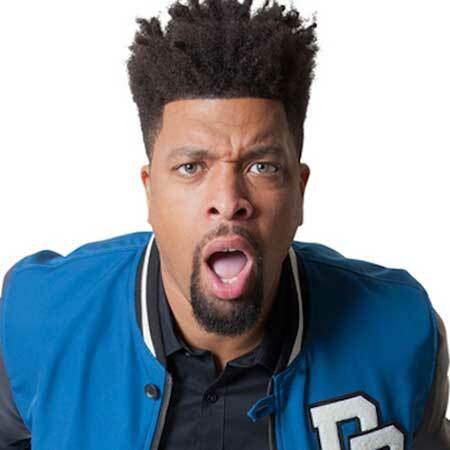 When we talk about such relationship the name Deray Davis immediately strike our mind. Often a weird matter but the American stand-up comedian and actor is living a blessed life with two girlfriends. 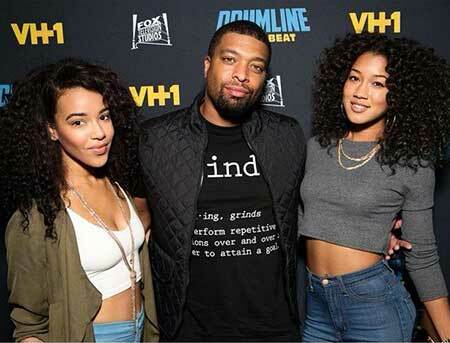 DeRay Davis is not only famous for his comedy shows and music video appearances but also for his relationship status. The comedian turned actor is in a live-in relationship with two girlfriends. Yes, you heard it right, he is dating two girls at the same time and all three of them resides together. He is very open up about his polyamorous arrangement and has often shares how the decision of his three-relationship helped him to maintain a healthy personal life. How it all started? Who are his girlfriends? We have all the details here. The Living With Funny star is living a sound life with two girlfriends Caro Peguero age 27, and Coco Crawford age 25. Though it is not clear, as per the sources, Deray is in a relationship with one of them for more than six years and other for three years. The trio resides happily together with no plans for marriage or children. He revealed about his strange relationship during an episode of day-time talk-show The Real in November 2017. Caro Peguero, DeRay Davis, and Coco Crawford attending an event together (L-R). "Living with two women in a polyamorous relationship is perfectly fine, and people shouldn’t be shocked that it works." "I’ve been with one for about five years, the other one for almost two and half years now. They’re very comfortable, ’cause I’m very open. I don’t make it where it’s all, ‘Oooh, look what I’m doing.’ I’m not a player." "I’d rather they marry each other, and I’ll just be with both of them." It is not clear whom he met at first. The thing is not so important in their case and they are so affectionate for one another. Though it is strange to see such type of relationship, we wish them all the very best for the future. Most of you people might not know that Davis is already a proud and loving father. He has a daughter named Brook Davis who is in her teens. He has an amazing bond with his daughter. However, it is still unclear who is the baby mamma. Davis has maintained his past relationship under the shade. 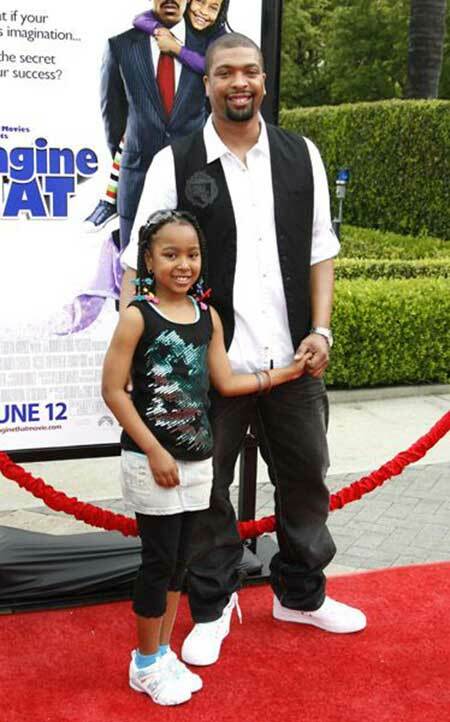 Actor DeRay Davis with his adorable daughter. We cannot simply guess how's his private life going on with two relationships and his daughter. Since we don't get to hear any news on the ups and downs in their life, we can say everything is going on a perfect pace. Brook once joined her father on the red carpet and more than that she has a special place on her father's social media posts. Here is a video of a trio talking about their living arrangements. Born on 5 August 1968 in Chicago, Illinois. His elder brother Steph Jones is an R&B singer. He began his professional career performing in comedy clubs. He attended college at Santa Monica and majored in psychology. He is known for his role as Ray-Ray the Hustle Guy in Barbershop and Barbershop 2: Back in Business. He performed in movies including Semi-Pro and 21 Jump Street. Grow House, All Eyez on Me and Starship Troopers: Traitor of Mars is his recent appearances. He has an estimated net worth of $1.5million.